"Lori is professional, honest, ethical and has a great sense of humor...she listens to you. When you tell her what you are looking for, she doesn't waste your time with real estate that does not meet your needs. 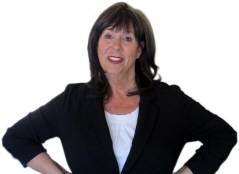 I would refer Lori to anyone who is looking to buy or sell real estate in northern Nevada." © 2019 Northern Nevada Regional MLS,Inc. All rights reserved. The data relating to real estate for sale on this web site comes in part from the Broker Reciprocitysm Program of the Northern Nevada Regional MLS, Inc. Real estate listings held by brokerage firms other than Ferrari-Lund Real Estate are marked with the Broker Reciprocitysm logo or the Broker Reciprocitysm thumbnail logo and detailed information about them includes the name of the listing brokers. The broker providing these data believes them to be correct, but advises interested parties to confirm them before relying on them in a purchase decision. Information last updated on 2019-04-25 08:01:14.